Premier League champions Leicester City travel to Parkhead to take on Celtic in the International Champions Cup on Saturday. 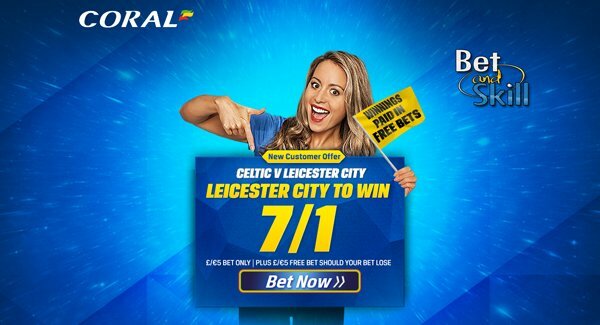 Don't miss our Celtic v Leicester City betting preview with expert predictions, betting tips, enhanced odds, starting line-ups, bookie offers and no deposit free bets to use on this match! For Celtic this match come three days on from the Champions League comeback victory over Lincoln Red Imps and four before the long journey to Astana. The Bhoys are actually unbeaten in their five pre-season friendlies prior to this particular fixture. The Bhoys have drawn against Celje and Maribor but picked up impressive wins over Olimpija Ljubljana, Sturm Graz and most impressively of all so far, over a very decent Wolfsburg side. Brendan Rogers may need to field a second string on this occasion, a much different side compared to the team that avoided embarrassment on Wednesday as they overturned a 1-0 deficit from the first-leg of their Champions League clash against the boys from Gibraltar, cruising to a comfortable 3-0 victory in the return leg in Glasgow. Leicester City kicked-off their pre-season campaign with a 2-1 victory at Oxford United on Tuesday evening, as Claudio Ranieri fielded a total of 22 players at the Kassam Stadium. They went a goal down 14 minutes into the game, but Demarai Gray pulled them level and Jefferey Schlupp scored the winner for the English Champions. Jamie Vardy will be rested following his participation at Euro 2016 with England while N'Golo Kante has left the club to join Chelsea. Summer signings Ron-Robert Zieler, Luis Hernandez and Ahmed Musa all featured in the win over Oxford and will again be looking to impress during City’s International Champions Cup campaign. 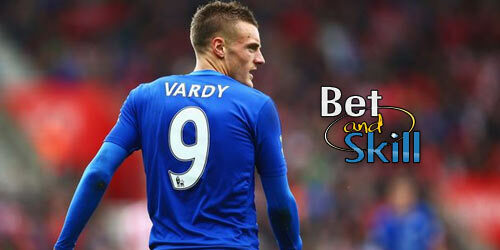 Enhanced odds - 7/1 Leicester to beat Celtic + £5 free bet! Crazy price! 8/1 Leicester to win the match + £100 bonus! Risk-free! "Celtic v Leicester predictions, betting tips, lineups and free bets (ICC 2016 - July 23)"